Ename Abbey Ham ®, the one and only true abbey ham of Ename’s Saint Salvator’s abbey, just recently received the superior taste award from the iTQi for its excellent taste and unique aroma. The ‘International Taste & Quality Institute (iTQi)‘ is an independent organization dedicated to judging and rewarding superior-tasting food and beverages. For its juries, iTQi works each year in close partnership with the 8 most prestigious European culinary institutions and the Association de la Sommellerie Internationale (ASI). 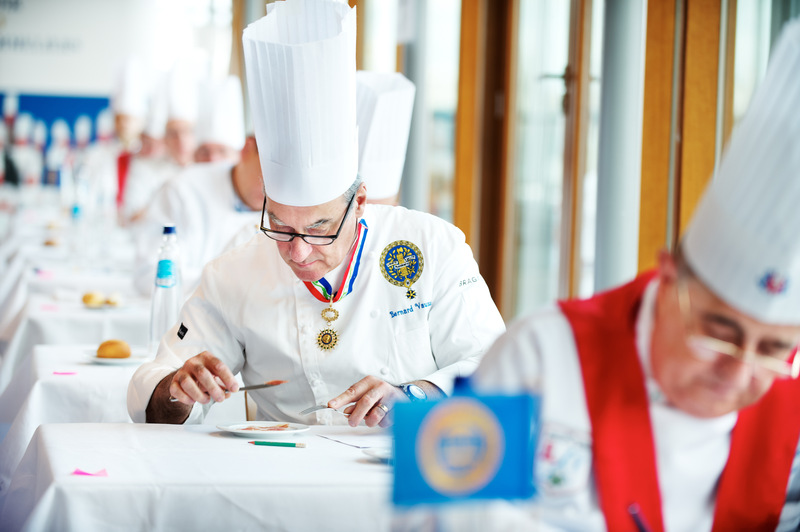 One of the 60 top European chefs at work during the 2012 Superior Taste Award . Also this year, the jury was presented Ename Abbey Ham® on a strictly blind basis, without packaging or conditioning and without any identification of the product nor the producer. Each member of the jury assigned a numeric score on an evaluation sheet taking into account the general tasting qualities, the aroma, texture, flavour and mouthfeel of the abbey ham. They also scored their affective reaction and the intensity of their pleasure while tasting and exploring the rich and warm flavors. These scores for the various aspects of the tests were then automated and compiled to get to a final result. And what a result it was ! 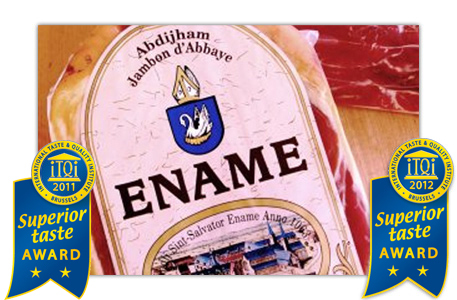 Ename Abbey Ham ® is amongst the winners year after year !